The most common defect of notebooks is failure of the keyboard. Most often it's caused by spill of liquid onto the keyboard. If we manage to turn off the laptop and pug out the battery and there wasn't much fluid we have a chance to save the keyboard and the computer. Otherwise, the keyboard may need replacing. The traditional keyboard is much easier to clean and dry. It's much more difficult with notebook keyboard - mostly because of the integration of logic circuits in a compact housing. Luckily laptop keyboard replacement is simple, and a new keyboard can be bough cheaply. 1. Remember that laptop are quite fragile. During replacement you must be careful, do not use excessive force. Before the replacement you have to unplug the adapter from the computer and pull out the battery. 2. In the first step, close the casing and turn the laptop upside down. At the bottom of the computer look for screws described "KB", "KBD", "KEYBOARD" or picture of keyboard. Unscrew the screws. Then check battery chamber for additional screws - if there are some they should also be unscrewed. 3. Turn your computer face up and open the lid. Usually there is a bazel above the keyboard, masking the keyboard screws. Lever the bazel carefully with falt screwdriver or credit card and pull it up then unscrew the keyboard screws. 4. Carefully lift up the keyboard (using flat screwdriver or credit card). Underneath the keyboard there is signal cable plugged into the socket on a mainboard. Open up the socket lock and pull the signal cable out of it. 5. 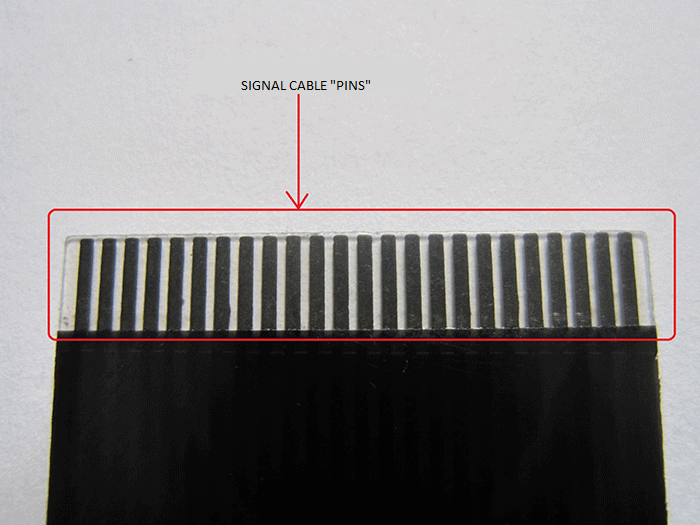 To ensure which keyboard we should be as a replacement you can count the number of "pins" - strips on signal cable. The keyboard that we are going to buy as a replacement must have absolutely the same number of "pins". 6. Mount new, keyboard following each step of this guide backwards. After placing signal cable ine the mainboard socket do not forget to lock the socket. We are happy to advise and assist you.